For a person who supposedly started this blog to write about gardening, I certainly avoid the topic shamefully. Probably because I avoid the activity equally shamefully. I leapt up with a start, smacked my forehead with my hand, and yelled “My God, I did it again!” I was sure it was dead. Oh, did I mention the mint out front? It’s dead. All of it. They said it couldn’t be done. 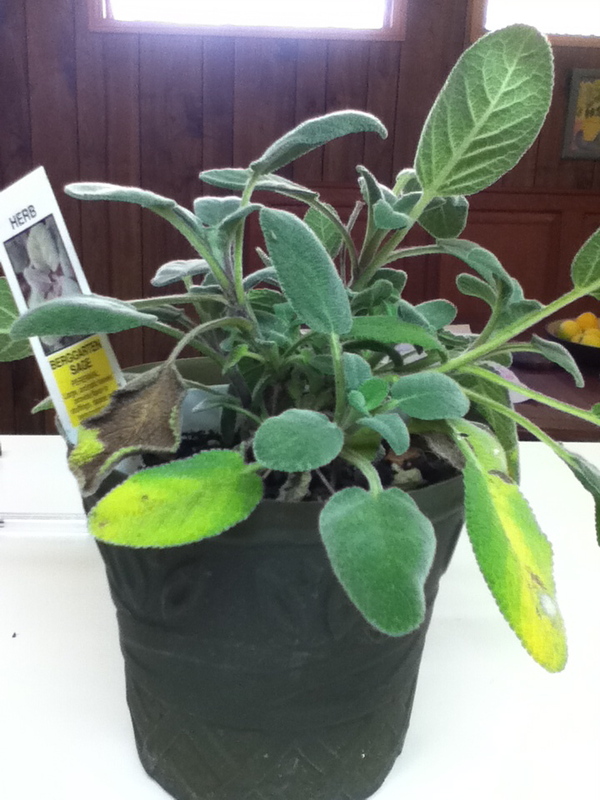 This entry was posted in Garden and tagged bad gardeners, herb garden, housewarming gift, sage advice, sage plant, sprinkler system, succulent garden on January 4, 2012 by thumbstumbler. Jessica, My heart goes out to you. Mint is usually very hearty, even on the ocean, where it is ignored, it thrives. And in fact tries to take over my sad excuse for an herb garden. Rosemary, chives and oregano also having been coming back every year with absolutely no encouragement. Keep going, don’t give up, and besides I love reading about it all (as I know exactly what u are going thru, and u are very entertaining).